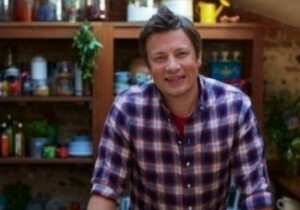 Australian supermarket giant Woolworths has launched a range of products with UK-based celebrity chef Jamie Oliver, which it said are designed to educate children on the benefits of fresh food. The partnership launches the Jamie’s Garden Collectibles range, a world-first collection of new sensory stickers and sticker albums that aim to educate kids about the origins and benefits of fresh food. Woolworths said that new research it commissioned found that Australian children struggled to correctly identify fresh fruit and vegetables and lack knowledge of where produce came from. According to Woolworths, the study of over 1,600 Australian children aged between six and 17 years revealed 92 per cent did not know bananas grew on plants and six in ten (61 per cent) were unaware that herbs such as mint grow from the ground. The research showed that over half of Australian kids were unaware that radishes (56 per cent) and beetroot (54 per cent) grew underground, while six in ten (59 per cent) could not identify a leek or a radish (53 per cent) at all. Six in ten (58 per cent) had difficulty naming a nectarine, while two in five (41 per cent) Australian children could not identify a zucchini or apricot. “It’s a shame that so many Aussie kids seem to be unaware of where fresh fruit and veg comes from, especially in a country that is home to such beautiful and delicious produce,” Jamie Oliver said. Mr Oliver’s charity organisation, the Jamie Oliver Food Foundation, works to raise the profile of food education through its work in communities and schools in the UK, US and Australia. “I’m a huge advocate of kids learning first-hand where the freshest, tastiest food comes from and I hope the Jamie’s Garden Collectibles range will help to teach kids about the joys of growing, nurturing and cooking with home-grown, seasonal produce”, Mr Oliver said. Children can keep track of their stickers in a special scrapbook-style album. The interactive sticker album takes kids on a treasure hunt through Jamie’s Garden with interesting facts, puzzles and “kid-friendly” recipes that teach children about healthy nutrition, fresh ingredients and the origin of food. The Jamie’s Garden Collectibles range also contains eight of Mr Oliver’s super power fruit and vegetable plush toy range to collect, as well as gardening tools and a tin for keeping the collectibles stickers safe. “It is surprising to see that more than a third of Aussie kids surveyed have no idea where supermarket fresh fruit and vegetables come from,” said Tjeerd Jegen, Woolworths Managing Director of Australian Supermarkets and Petrol. “It’s part of our wider commitment at Woolies to educate kids on the origins of fresh food and inspire a younger, healthier generation by nurturing an appreciation and love of cooking with healthy, fresh produce from a young age,” Mr Jegen said. Customers will receive one pack of four Jamie’s Garden stickers for every $20 they spend in store. Albums will be available in store for $5. Jamie’s Garden Collectibles range is available at Woolworths stores nationwide from 21 May 2014 for six weeks or while stocks last.